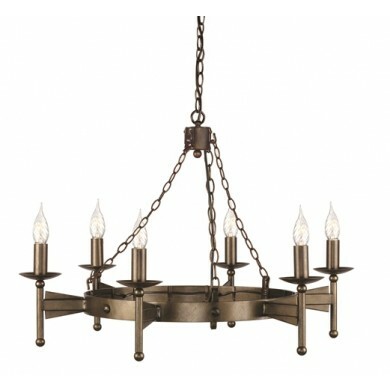 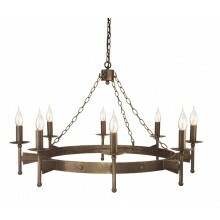 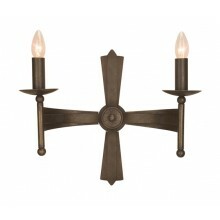 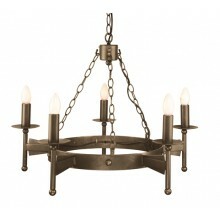 This unique light fixture is a six candle chandelier in an old bronze finish that has a design style reminiscent of fifteenth-century architecture. 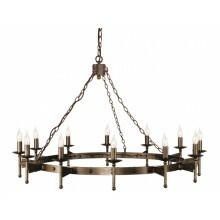 It consists of six candle style lights positioned around the circumference of a dark metal ring, which is suspended by three chains from a ceiling mount. 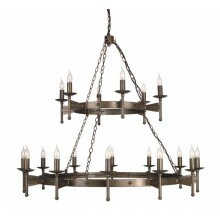 With its unique personality and decorative flair, this piece is sure to provide a fun and interesting accent for any living room area or entryway in which it is installed. 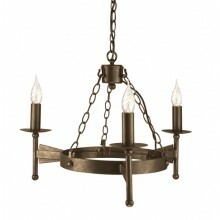 Its chain makes it easy to adjust the exact positioning of this imposing piece. 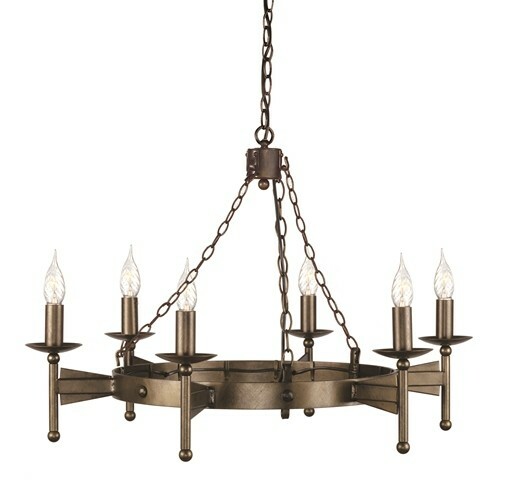 It uses six 60w bulbs.